Microsoft has released the latest version of the server operating system called Windows Server 2019, the old server operating system was Windows Server 2016 and now the latest update has brought several new features, functions and changes to make Windows Server 2019 more efficient and productive to all developers and non-developers. So if you are using the old version of Windows Server then you must upgrade to the latest Windows Server 2019 RTM Final (1809 10.0.17763) 64-bit ISO, Windows Server 2019 Essentials, and Microsoft Hyper-V Server 2019 versions to experience all new changes. Microsoft is also frequently releasing the all new Windows Server Insider Preview beta updates with an aim of testing and experimenting new features and functions before releasing it to a general public users, you can join Windows Server Insider Program as well. In this post, we are also sharing the official Direct Download Links of Windows Server 2019 Final RTM version 1809 build 17763 64-bit (x64) .ISO Image Files for offline manual installation using bootable USB or DVD on multiple computers and laptops for Free. The latest Windows Server 2019 Changelog includes many new changes in terms of performance improvements, security enhancements, stability improvements, and bugs fixes. You can read full official Windows Server 2019 Features list in an image below, or you can Click Here for more inside details from Microsoft. How to Install Windows Server 2019? Microsoft developers or non-developers (general public users) can perform manual offline installation of Windows Server 2019 by simply Free Download Windows Server 2019 .ISO Image File available in this post and then burn it to any Bootable DVD or Bootable USB flash drive for installation on multiple PCs. In future, if you want to upgrade server operating system to latest version, you can officially get the latest Windows Server 2019 Builds and Version from Microsoft server by navigating to Windows Update and recovery menu. While installing an operating system, if ask, you can insert Windows Server 2019 Genuine Product Key provided below. This is the official Windows Server 2019 Evaluation Edition, and its expected to be expire after every 180-days period. So if you want to use Windows Server 2019 after expiration or want to extend 180-days expiration period, then you can perform Windows Server 2019 Re-Installation after 180-days’ time period. How to Download Windows Server 2019 ISO Image? Microsoft Windows device users can Free Download Windows Server 2019, Windows Server 2019 Essentials, and Microsoft Hyper-V Server 2019 final RTM files officially from Microsoft website HERE, but you will need to Sign In using Microsoft Account i.e. Outlook, OneDrive etc., but you can bypass the sign in hassle and directly download the .ISO image files via official links available below. 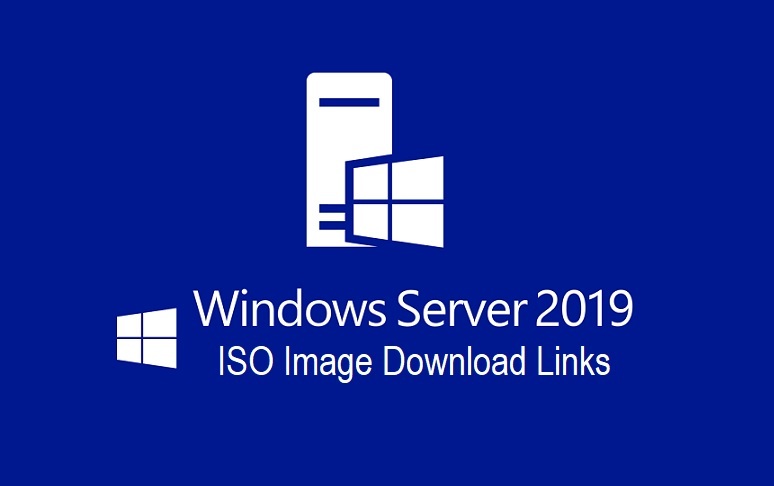 Windows Server 2019 ISO image files are available in multiple different regional languages as well i.e. English (US/UK), Chinese (Simplified), French, Italian, German, Japanese, Spanish, and Russian.